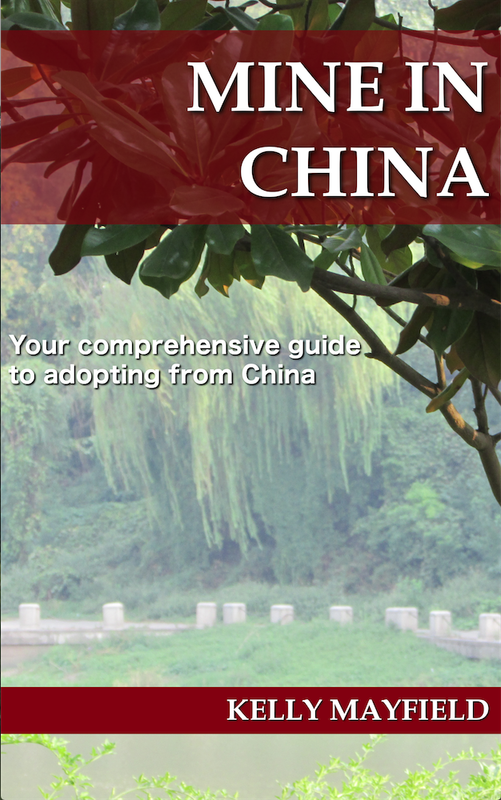 We are here in China between Christmas and Chinese New Year. In America we are rather Chinese-centric by using that name because many Asian countries celebrate the lunar new year. Here in China they call it the Spring Festival. The national holiday lasts two weeks but just as Christmas isn’t really one day in America, so the Spring Festival goes on for about a month. In the evenings the street outside our hotel is full of decorative lights. When I asked our guide what they were for, she sort of shrugged and indicated they were good for either Christmas or Spring Festival. There are lots of lights, but also some which are definitely Christmas and others which are definitely Spring Festival. 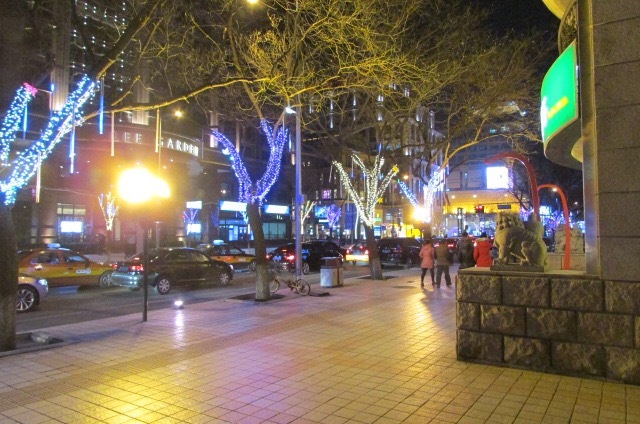 On Monday night we walked down to the Wangfujing area which is close to our hotel. In the evenings there is a night market which is also called snack street. It is a long area of vendors which sell anything you can eat on a stick. Fruit, candies, ducks, squid, starfish . . . We came on our last trip but didn’t buy anything. 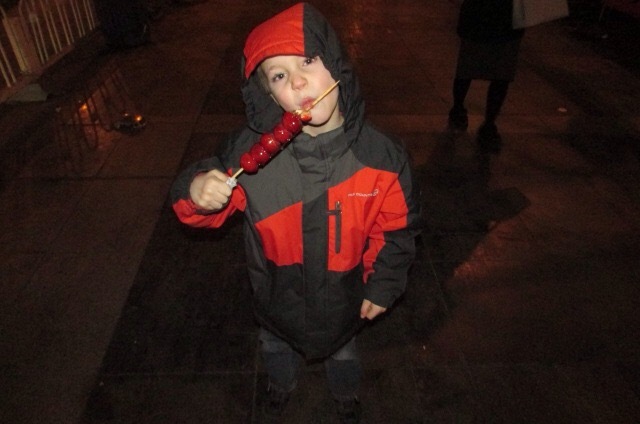 This time we decided to try a favorite Beijing street food called candy haws. They are Hawthorn apples, which are about the size of an apricot with a candy apple coating. They had a slight tart flavor which was great with the candy coating. I can see why they’re so popular. We did have to cross the street to get to snack street. Crossing the street in China is not for the faint-hearted. All of the traffic signals and signs are more like traffic suggestions. People do whatever they can get away with. To cross the street you may or may not wait for the crosswalk light. What you really must wait for is a large group of people to cross with. You want about 6 minimum to dissuade a standard car. Sometimes there aren’t enough people waiting to cross. At that point it becomes necessary to debate a little about which 1 or 2 people you want to cross with. You don’t want to be crossing when the other person goes and jumps in front of a car, which you obviously don’t want to do, so then you’re stuck standing in the middle of traffic without a shield. Monday evening we were standing on the street corner trying to decide which individuals looked crazy and which looked safe to cross with when one of them decided to let us know they knew English by replying “Cross with us!” We did, and we’re still alive. 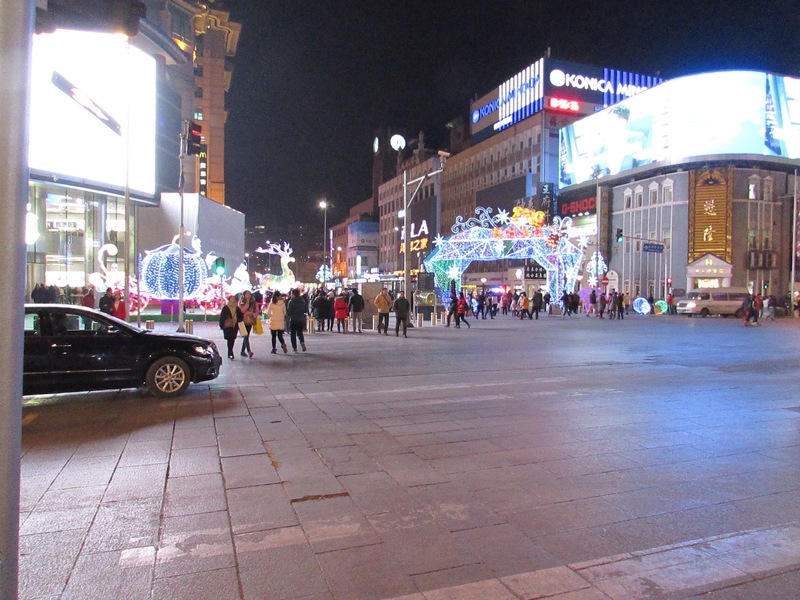 Today we once again headed out to the shopping district in the evening. August has a lower limb difference which means he can’t walk any great distance. He’s a big kid, so a stroller would be very helpful when we are out and about. We started out at the mall. As we were coming in a young couple who spoke excellent English engaged us in conversation. Sometimes people do that. Usually they are being friendly but sometimes they’re trying to scam you. When we had talked for a few minutes without any sort of invitation or sales pitch, I asked if they knew a store in the mall where we might find a stroller. They said yes and offered to show us the way but the way was headed out of the mall. We hesitated, but they pointed to a store a few doors down in the same shopping district. We followed them to a large department store. Every few feet an employee was stationed to make a sales pitch but the entire place was empty except for us. They did have a selection of about 6 strollers. The first one we were shown was more than we wanted to pay, though probably what we would have paid in the mall. We said we didn’t want to spend that much and turned around as if we were heading back to the mall. Lo and behold, it turned out that the stroller next to it was just that day marked down for the Spring Festival sale. It was basically the same stroller in pink (guess we won’t get a lot of use out of it back home) only now half price. Matt went to pay and reported later that the cashier chewed out the salesman for the markdown. As we headed out our new friends then started pushing us to go see their stall where they sold something or other. We thanked them for their help but firmly insisted we needed to get the little guys back out of the cold and ditched them as quickly as possible. Tomorrow is a free day. We’re headed to see a different section of the Great Wall. The stroller will be no use to us there. But perhaps we’ll take another night stroll once we’re back. This entry was posted in Uncategorized and tagged China trip 2013 on January 11, 2016 by minefam.